The moon, on the other hand, is our instinctive and feeling self. A part of us so deep within and close to our very core that we barely know it consciously, instead expressing it as readily but unconsciously as we draw breath. Reflecting both subconscious and unconscious forces in the psyche, the moon reveals our emotional habits and our default orientation towards life. Where the sun is conscious and radiant, the moon is unconscious and deceptively influential. Born of our innate subjectivity and yet all encompassing, it both constrains us within our individual world view and connects us with the collective consciousness from which we all draw breath. Nonetheless, we may be tempted into victim mentality at this time, convinced we are being punished or scapegoated, unfairly treated or powerless to effect change in our lives. But we are only victims if we allow something or someone to dictate our state of mind and heart, instead of rising up, sovereign even in the face of our greatest challenge. To do the latter we must understand how our mind and heart work: what triggers our own personal spiral into despair or hopelessness, anger or confusion. There’s simply no time to wait for feelings to change of their own accord now. We must be masters of our destiny and agents of necessary change. 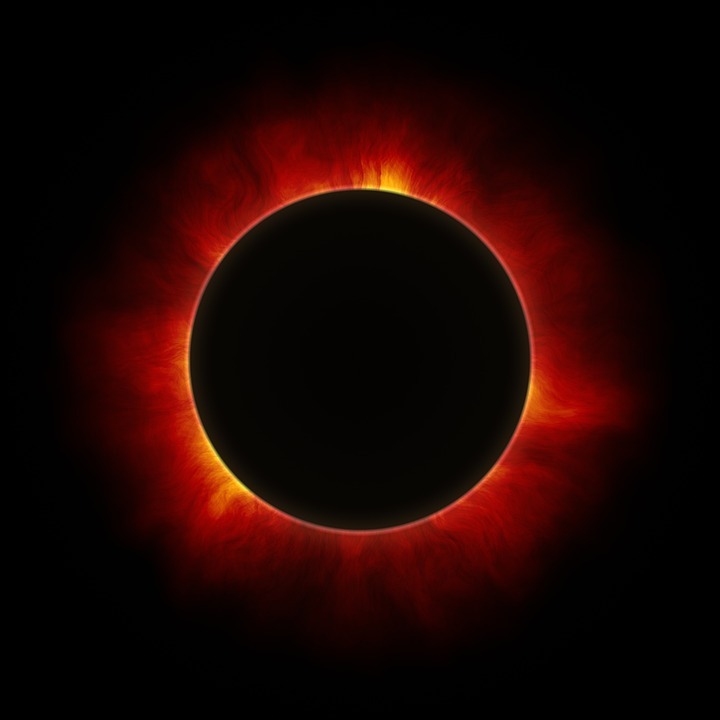 Within the darkness of a solar eclipse we need to hold our centre and stand firm, allowing whatever occurs to penetrate us to our deepest core and speak its wisdom. We may not want to hear this particular piece of wisdom right away, of course, but the least we can do is write it down and return to it later, because we can rest assured it will be central to our lives and how we live them before too long. Despite the intense nature of a solar eclipse its fruits may take the following six months to ripen, fertilised by our energy during the two or three days either side of the actual event. It is therefore especially important to attend to the quality of our thoughts, emotions and behaviour at this time. A solar eclipse reminds us we are both sovereign over our life and subject to forces beyond our control. Playing our part as well as possible, with integrity, awareness and grace, ensures our power is used to the fullest and greatest effect. The rest we must leave to chance and embrace when it arrives!